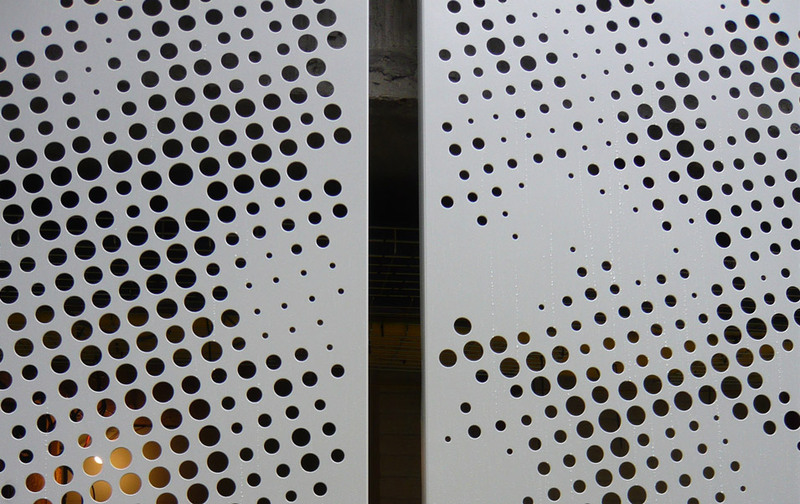 We worked closely with the building architects Stephen Davy Smith Peter Smith Architects to design this perforated metal and glass screen for a 21 affordable home scheme that accommodates a range of unit sizes including family housing. 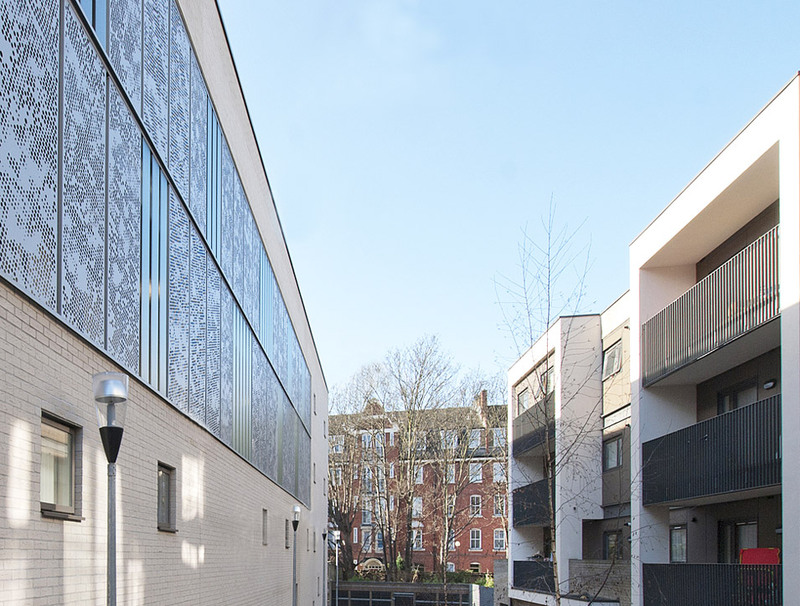 We were commissioned by the main building contractor Kind + Co to design a privacy screen for the north facing elevation to avoid potential overlooking from the nearby Baxter Court residents. 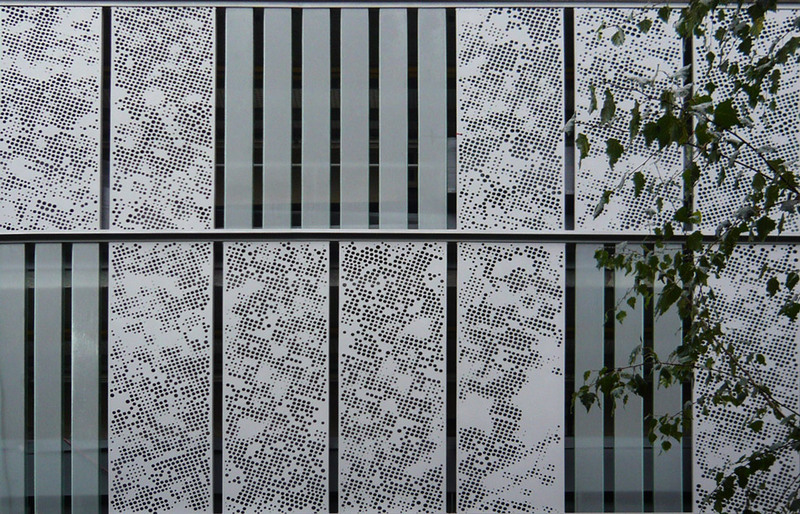 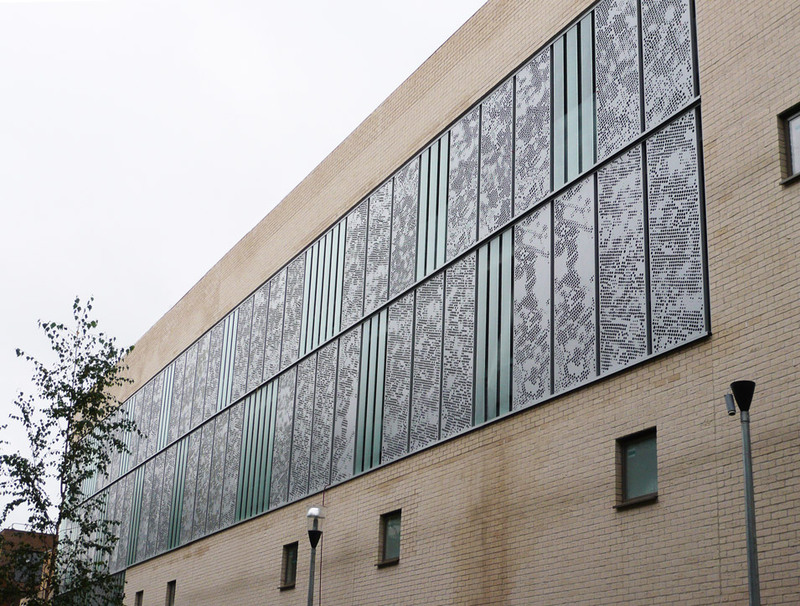 Rather than use an off-the-shelf perforated metal screen we created a custom designed perforated pattern that is based on the shadows created by nearby London Plane trees.